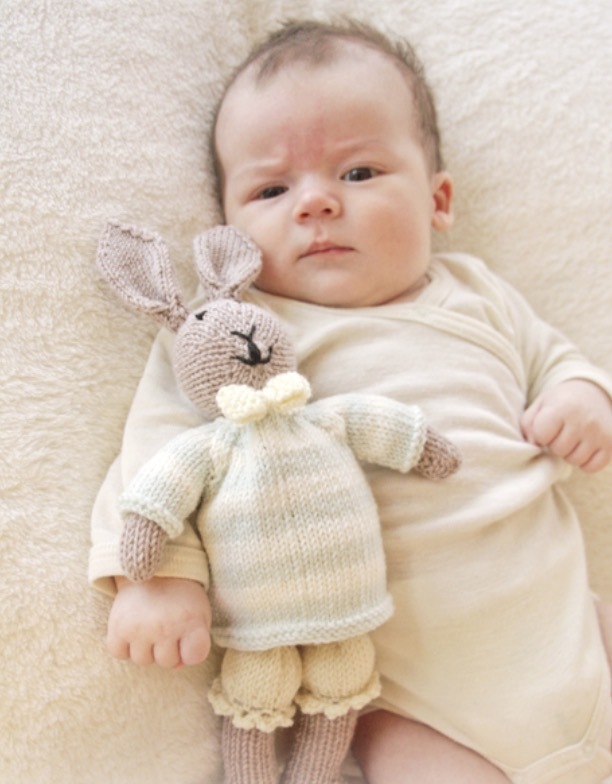 We’ve rounded up some super cute Knitted Bunny Rabbit Pattern Ideas and you won’t want to miss them. Check them all out now and Pin your favorites. We all are big fans of bunny rabbits and today we are sharing a collection of Knitted Bunny Rabbit Pattern ideas. The first that we are sharing is Mr Bunny from Garn Studio. We love his striped jumper and his bow tie and he’s nice and squishy which is perfect for snuggling. You’ll be excited to find out that Mr. Bunny is a fabulous free pattern. He would make a wonderful homemade gift for family and friends too. Get the details here. Another very popular knitted rabbit pattern has been Mrs. Bunny Rabbit Tea Cozy. Is she not the cutest ever? You can find the free pattern details here. These adorable knitted rabbits need to be added to your must make list and they come to us from Craftsy. They are another fabulous free pattern. Get the details here. This free download comes from Yarn Inspirations and the suggested skill level is intermediate. Find the details here.